I’ll keep this post short and sweet as I’m currently in Muncie, IN spending some much needed time with my grandma. It’s been a relaxing visit so far and I’m looking forward to more relaxing days to come! We’ve watched lots of movies and had some fantastic wine… Of course, cheese and crackers have been a must in the afternoon. You can definitely tell we’re related! 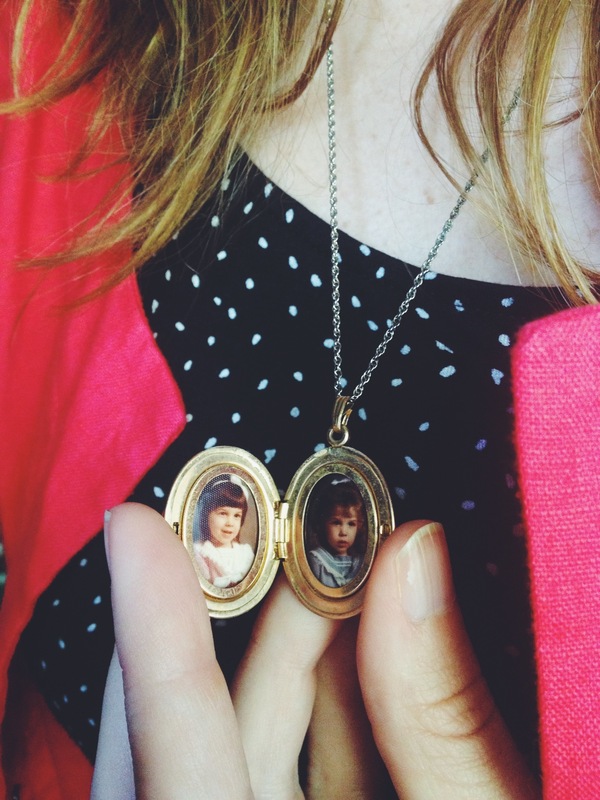 Raided grandma’s jewelry box and found a locket with our pictures in it! Hope you all are having a fantastic Tuesday and a fantastic week! P.S.- Don’t forget to enter the giveaway! Ends Friday! In case there is some confusion, you can submit multiple entries with completing each task. Let us know if you stumble across a problem! That’s a beautiful locket! Finding jewelry that comes from your grandma’s stock is definitely the best!